Would you like more energy? More time? Less stress? 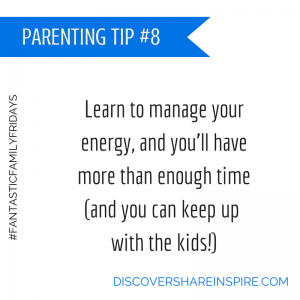 Do you get to the end of each day feeling exhausted, burnout out and wondering when (or if) your kids are going to crash? Many of us believe that we could handle life better if we had less stress (and more time). But guess what? That's false. Creating a fantastic family culture -- one that makes us WANT to be together as a family -- requires deliberate action. But at the end of the day (or maybe even starting the day), you may be so exhausted and have so much on your 'to do' list, that you really don't know where you'll find the time. 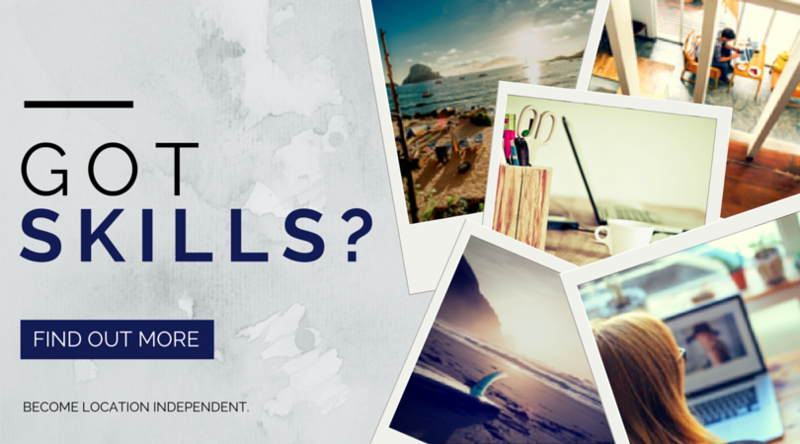 As a result you feel stressed, tired and worn out. The answer -- are you ready for it? The answer is to increase your stress, and improve your recovery. The answer is to manage your energy instead of your time. The answer is to learn how to do more by becoming more capable. We all have the same amount of time, and we don't get anymore. The secret of high achievers is not that they have more time than you (because they don't), or less stress than you (cuz they have more), but that they manage their energy better than you do. They've learned the strategy for having high levels of physical, emotional, spiritual and mental energy. They don't run out of gas, while you're running on empty. 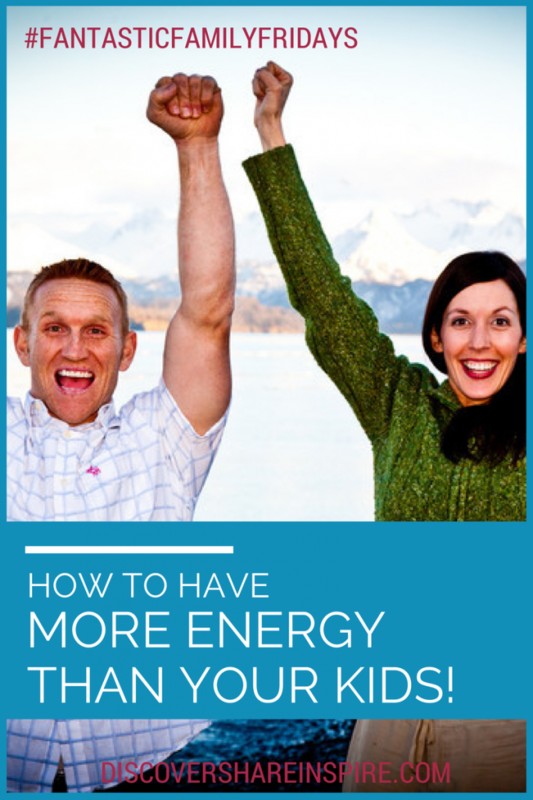 If you want to have more energy than your kids (it could be possible! ), then learn the techniques of athletes and high achievers. They've discovered how to utilize their full energy potential, and how to rest and recover effectively (a key component). They've also discovered how efficiently condition and fuel their bodies (diet and exercise, you knew that was coming, right?) as well as manage their emotions (negative emotions like anger, frustration, etc are very draining on our energy). You can also read The Power of Full Engagement, which teaches a ton on this principle. We recommend it. Then share you thoughts in the comment below. We love comments!